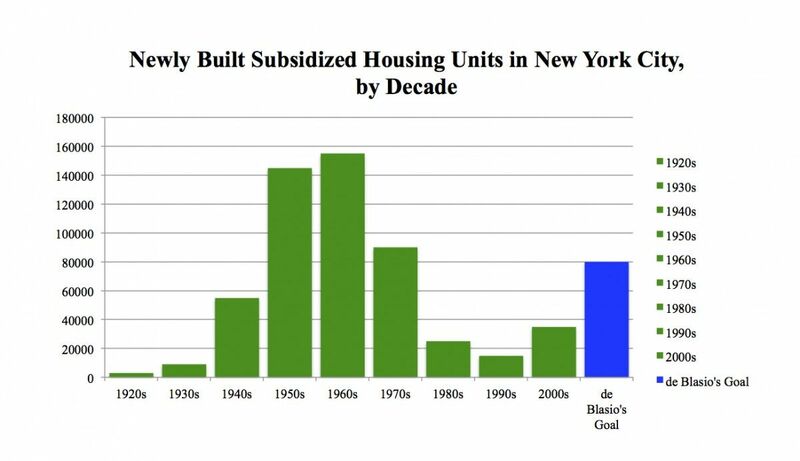 Debate in New York rolls on over Mayor Bill de Blasio’s affordable housing plan. 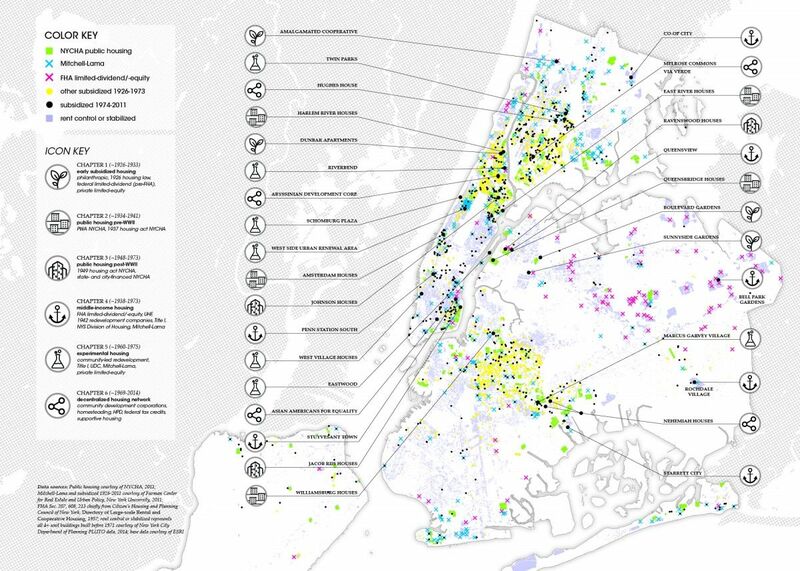 The initiative promises to create 80,000 units and preserve another 120,000, but some community organizations, housing advocates and elected officials question whether the plan would hasten gentrification. But the larger issue, perhaps, is how much of an impact de Blasio’s new plan can make on the city’s housing stock. Nicholas Dagen Bloom and Matthew Gordon Lasner, editors of the new anthology Affordable Housing in New York: The People, Places, and Policies That Transformed a City, say that the current crisis calls not only for municipal action, but increased state and federal support. According to a Citizens Budget Commission report released last month, 42 percent of renting households in New York are rent-burdened, or pay more than 30 percent of their income on housing. Twenty-two percent are severely rent-burdened, or spend more than half of their income for a roof overhead. Out of the more than 1.2 million lower-income renting households, nearly 60 percent are rent-burdened. The research of multiple scholars is tidily collected. Readers will find background on the 1926 New York Housing Act, which was the start of government-subsidized housing in NYC. There’s the story of how John D. Rockefeller Jr.‘s aversion to state involvement inspired him to open Dunbar Apartments on his own dime that same year. From the 1950s, there are the reformers who worked toward the creation of Queensview Houses to stave off middle-class flight. “So many people hear about our book and say, ‘Oh, affordable housing in New York, it must be a joke,’ or ‘Is there?’” says Lasner. De Blasio’s camp is touting the administration’s plan as a landmark one that will change the face of affordable housing in the city. The mayor considers mandatory inclusionary zoning a key “building block,” a proposed policy that would require developers in corresponding neighborhoods to designate a quarter or more of new units affordable. For skeptics, it’s a policy that doesn’t assuage anxiety over new development, and raises questions on whether income requirements for the new units would encompass the city’s poorest residents. The de Blasio administration has held firm that the proposals put forth in the plan are necessary measures. “We are in a true housing crisis, and we can’t just sit by and do nothing as market pressures change the city,” Alicia Glen, the city’s deputy mayor for housing and economic development, said at a public hearing on the policy last week. In the new book, readers can glean lessons from subsidized housing’s successes and failures in New York. Lasner and Bloom agree that there is a wonderful example to be found in Co-op City, which was built from the late ’60s through the early ’70s. As Jake Blumgart reports in a thorough article on public housing’s decline nationally for Planning, the federal public housing capital and operating fund has diminished by 25 percent in the last 14 years. Meanwhile untended disrepairs in older complexes mount, leading 10,000 lost units each year. Blumgart writes that the necessary congressional support is highly, highly unlikely to appear. For a global city to remain competitive, Bloom explains, it requires, at least, the housing stock and well-connected transit systems to support a diverse labor force.